Windows System Backup is a small, Windows 3.x utility designed to backup your important Windows files such as *.ini, *.pif, *.grp as well as your autoexec.bat and config.sys files. This newest version will also allow you to specify any five extensions for backing up from any directory. This is convenient for backing up any type of file that you want. It could even be used as a 'poorman's backup program'. It will also print out four of your system files, Win.ini, System.ini, Autoexec.bat and Config.sys. In addition, it will allow you to edit any of the *.ini or *.pif files in your Windows directory using a Windows text editor of your choice. It is quite simple in function, yet it can save the day. I thought of the original version one day when my Windows 3.0 crashed (buy Windows 3.1 if you haven't already) and I had to reinstall it . All the work I had put into getting my desktop just right was gone, and it took me quite a while to restore things. Realizing that all of that information was in a few easily backed up files, I immediately did so. Finding it a bit cumbersome to use File Manager, I wrote this utility to make easy such a task. From there it has expanded to include other useful capabilities. I hope that it proves to be something that you can use (and want to pay for). - the program will backup while iconized and even disappear when it's done. It will allow you to use Windows while it is running, but floppy disk access is pretty busy and things will be a bit herky-jerky. - The program will not let you backup or print with invalid paths. It will account for just about any error in entering paths that I could think of except one -- spaces at the BEGINNING of a path. Please don't do that. - The program looks for your autoexec.bat and config.sys files in the root c: drive directory. If for some reason you have any other drive as your boot drive, edit 'SYSBACK.INI' (found in your windows directory and created by this program) to reflect your setup. You can use SYSBACK.INI to edit that file. - Sysback should print on any printer. It checks your win.ini file for the current printer and uses those parameters. It also allows you to select any printer driver that you wish to choose. If anyone has any trouble with printing, let me know. I don't anticipate any problems. For those of you with very long lines in your system files, this program will not print any more than 80 characters on a line. Sorry. - Don't try to type more than three letters in a customize box -- you can't. Also, leaving any of the edit boxes blank will revert to the SYSBACK.INI setting. - The Edit Section assumes that your PIF Editor is somewhere on your path. - I figured out how to allow you to backup to more than one disk and not lose any files, so you can run on and on with this, using it to back up as much data as you like, though only from one directory. You can, then, use this as a basic backup for all your *.doc files in Word for Windows, etc. Please let me know if this proves to be a problem. - the program lets you specify the path to any Windows text editor that you choose. (The editor must be able to accept a text file name as a parameter) The program will default to Windows Notepad in your Windows directory if your path is invalid. I also figured out how to let you double click on a list box, and so that should work, finally. - I figured out how to use the very cool Borland Windows Custom Controls, and so Version 2.0 and up has a new 'look and feel' as they say. I apologize if the shadowing on the buttons isn't perfect, but I am not much of an artist. It sure was fun to program, though. Amazingly easily, really, and my hat's off to Borland for inventing it. - Version 2.25 and up lets you store a number of different source directories. 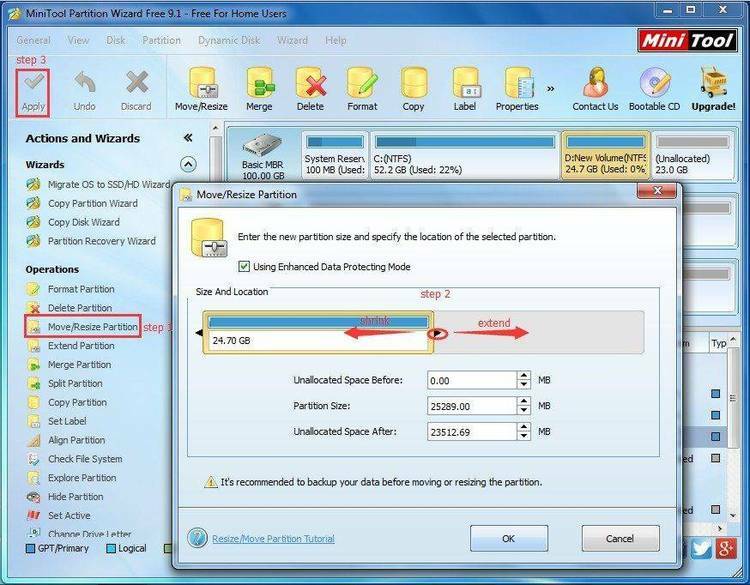 This enables you to use the custom extensions to easily back up different extensions. I use it to back up my speadsheets, my *.SAM files from AmiPro, etc. This will help make it more of a poor man's backup. You can use the browse button to change any of the custom directories in the Path selection dialog box. The 'Blank' button will delete any directory selected. I am distributing this program as shareware. Take a look at, use it, and if you like it and want to keep using it, please send me two dollars. That's really not much at all. I hate looking at a shareware program that is cool but is way over priced. This one is not. I am relying on your integrity. I won't get into the definition of shareware or lay any big guilt trips on you, but don't use shareware if you don't pay for it. It's only fair. I don't provide any support or manuals or anything. That would be a bit ridiculous for this program, don't you think? Sending in money gives you peace of mind, though. Pretty nice thing to have. Plus, I might just write that specific little utility you wished someone would write if I get a reasonable amount of support. Thanks to Jim Lee for diligently testing each of my versions and giving me most of the ideas for most of the features in this program. This program may be distributed by any Shareware reseller as long as only a reasonable charge is asked for the distribution disks. SYSBCK? ?.ZIP itself or any of it's components may not be sold for any price. It may be freely distributed as long as it is not altered in any way and this Write file and the executable file are included with it. I distribute this program 'as is' with no guarantees of performance or compatibility with anything at any time. I won't be held liable for anything that gets broken because of this program. Use it at your own risk. (Pretty official, huh?). The most recent version of SYSBACK.EXE can be found on America Online, Windows Online (1-510-736-8343), or Hams and Hackers BBS (209-582-1779) in Hanford, CA. If that fails, send me $4.00 as registration and I'll send you a disk. Let me know the version you have. If I don't have an updated version for you, I'll send your extra $2.00 back, promise! Windows Backup was written in Borland Pascal for Windows 7.0, an excellent development tool. I wrote it using Windows 3.1 and seems to run fine there. If you encounter any bugs, problems or questions, please call or write me -- I'd love to hear from you. Also get a hold of me if you have any suggestions for improvement or enhancement. First version released. Included option to print *.ini files. Added ability to edit any *.ini file using notepad and feature to customize any extension for backup. Added the ability to edit *.pif files, autoexec.bat and config.sys from the program as well as cleaning up some cosmetic things with the program. Added ability to double click on list boxes and to set your own text editor. Added Borland Windows Custom Controls and two more custom backup extensions. Added 'Select All' and 'Deselect All' buttons for further convenience. Fixed a bug with the Custom extension back-ups, added two more custom extensions, and made 'Select All' button more convenient. Added 'Delete' button to Edit Dialog box enabling you to easily delete those unneeded *.ini files, fixed tabs and tab order making it better for keyboard users, and added ability to save checkbox selections in main dialog. Gave the code a good tightening up and made Select/Deselect buttons switch to match your actions, i.e. says 'Select All' if you are selecting and vice versa.